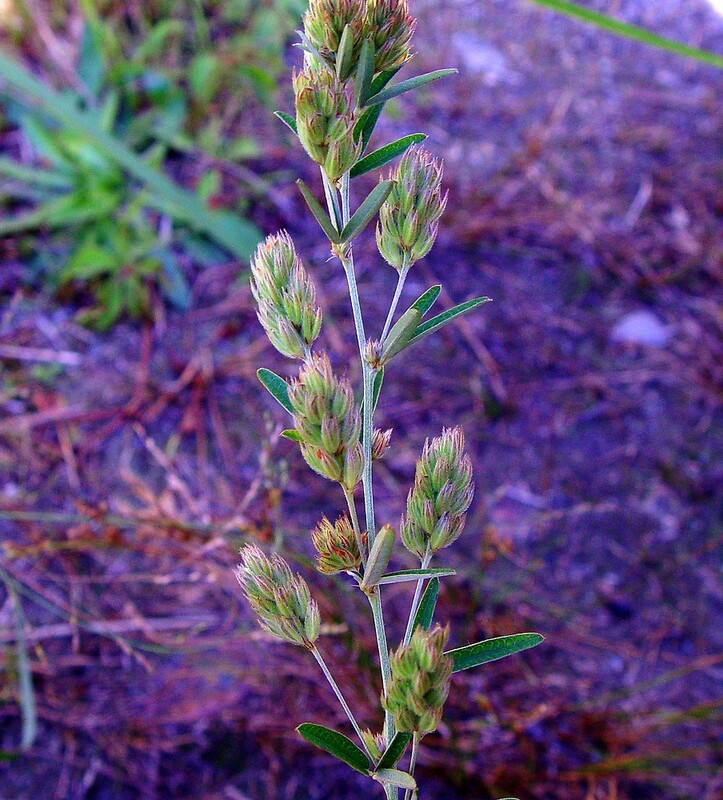 Narrow-leaved bush-clover is distributed from Mississippi east to Florida and north to Massachusetts. 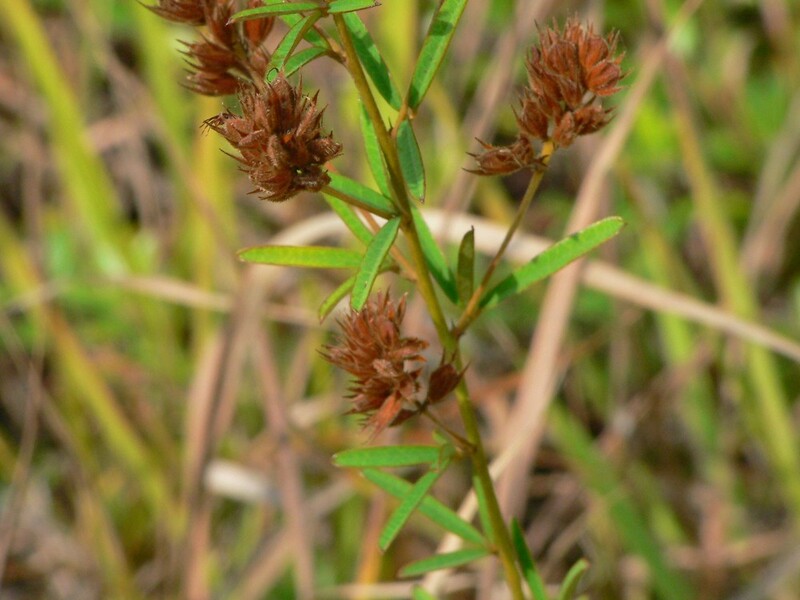 It is very rare in our region, being found on coastal plain pond shores and sandy areas, mostly near the coast. 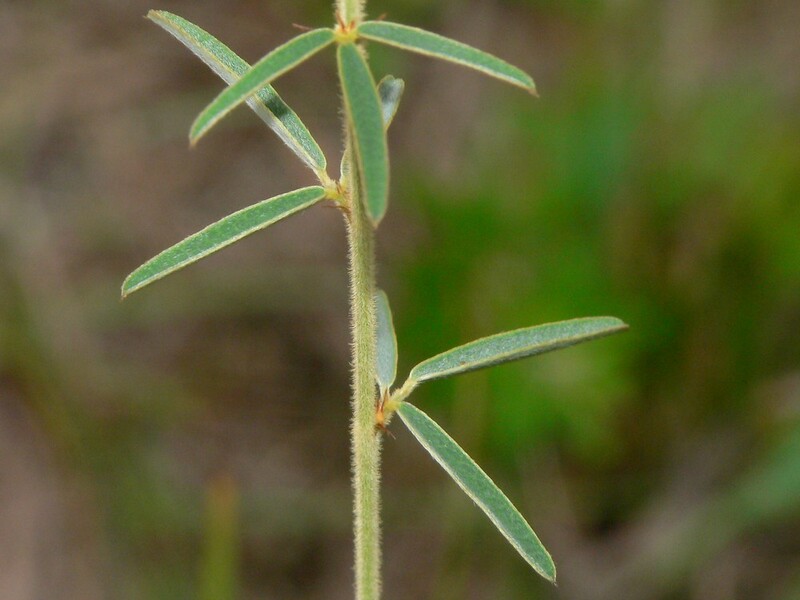 racemes included in or scarcely exceeding the subtending leaves, with subglobose to short-ovoid clusters of flowers; corolla 8–12 mm long, and leaflets usually elliptic to oblong mostly 2.5–5 times as long as wide (vs. L. angustifolia, with racemes exserted beyond the subtending leaves, with ovoid to cylindric clusters of flowers, corolla 5–7 mm long, and leaflets elliptic-oblong to narrow-oblong, 4–8 times as long as wide). 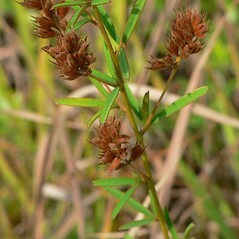 Lespedeza angustifolia (Pursh) Ell. var. 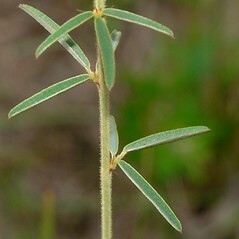 brevifolia Britt. 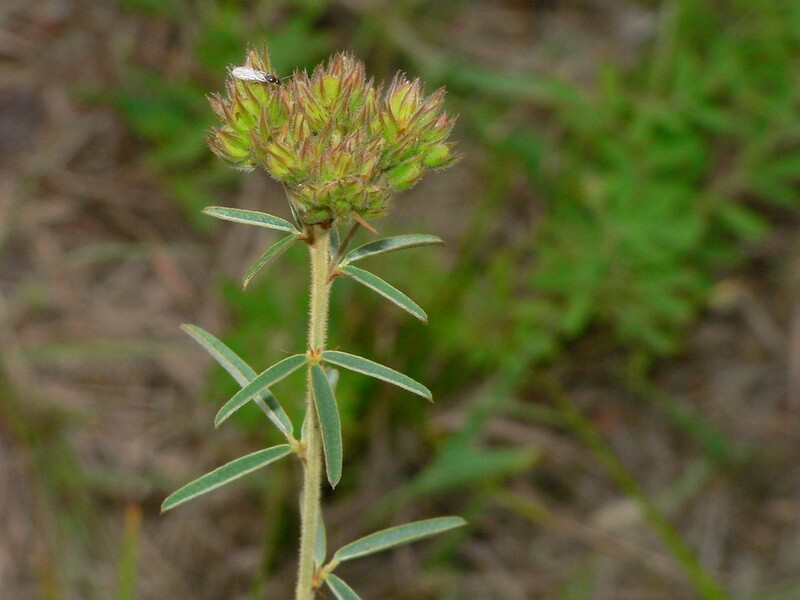 narrow-leaved bush-clover. 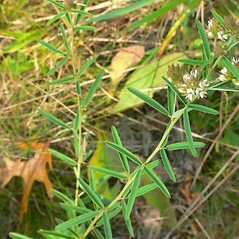 Lespedeza angustifolia (Pursh) Ell. var. 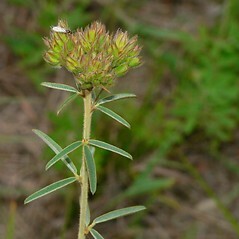 brevifolia Britt. 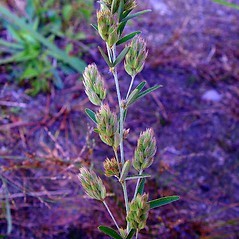 ; L. capitata Michx. var. 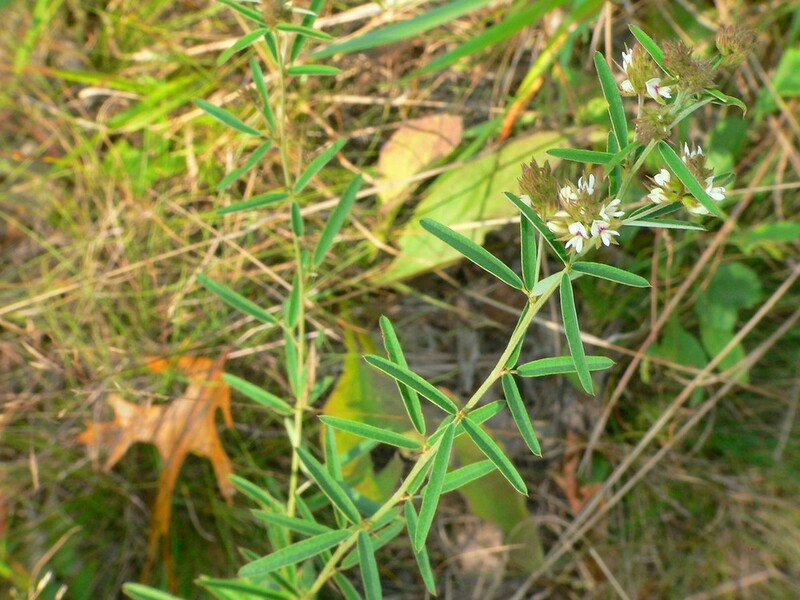 angustifolia Pursh • MA; also reported from RI by Magee and Ahles (1999), but specimens are unknown. Sandy areas and pond shores, mostly along the coastal plain.